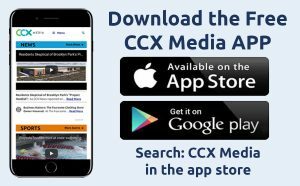 This week on CCX Media’s Sports Jam for the week of May 21, 2018, highlights from section tennis and regular season play in softball, baseball and lacrosse plus a recap of the state true team meet in Stillwater. In this week’s Sports Jam Spotlight Jason Melillo profiles local University of Minnesota softball players Maddie Houlihan of Plymouth and Sydney Smith of Maple Grove. Also on the show Jay Wilcox talks baseball with Champlin Park baseball players Owen Trelstad and Max Loven. Plus our Plays of the Week segment.